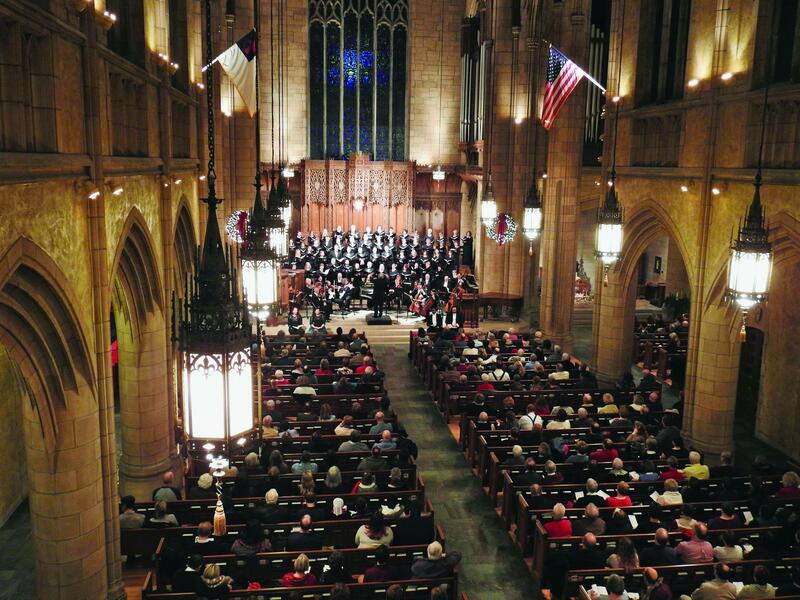 The Erie Philharmonic Chorus will spread Christmas cheer Saturday, Dec. 8 with its traditional show at the First Presbyterian Church of The Covenant on West Seventh Street. The chorus will join musicians from the Erie Philharmonic and several guest soloists to perform George Frideric Handel's Messiah, an oratorio composed in 1741 that may not have been written for Christmas, but is now associated with the holiday season, even by casual listeners, thanks in no small part to its instantly recognizable "Hallelujah Chorus." The show will be led by conductor Thomas Brooks, and soloists will include soprano Elizabeth Baldwin, mezzo soprano Joan Marie Peitscher, baritone Eddie Pleasant, and tenor Wesley Lawrence. Baldwin has been called "ferociously talented" by the San Francisco Examiner and "mesmerizingly vulnerable" by the New York Times. Peitscher is known for her "rich sound and moving performances," and Edward Pleasant is considered "one of the most versatile performers of his generation." Wesley Lawrence has appeared in shows across America and Europe. His accomplishments include performing as Rodolfo in Puccini's La Bohème in Italy and the solos in Dubois' Seven Last Words of Christ.